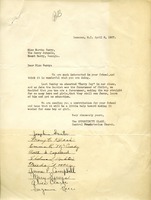 Ansley Wilcox writes Martha Berry to inform of a yearly donation of $200.00 being made to the school. 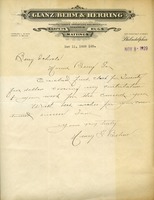 Guyon Miller sends a check for $150.00 to go to The Berry Schools. 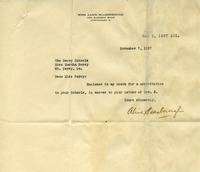 Miss Eleanor Hague from Pasadena donates $100 to The Berry Schools. 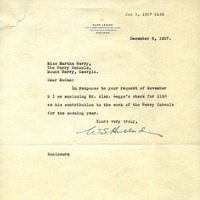 Author sends a $25 contribution to help with the work at Berry. 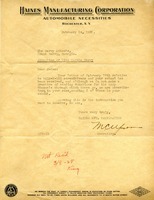 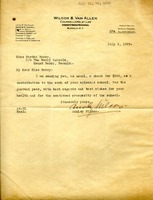 Alice Scarborough writes Martha Berry to inform her of a donation she is making to the school. 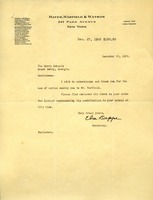 Mr. Neal sends a $100 contribution for this year's expenses. 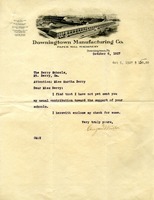 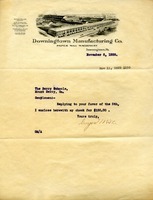 Guyon Miller of Downington Manufacturing Co. sends his "usual contribution" of $100 to Martha Berry and Berry Schools. 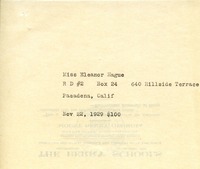 Mr. Legge's secretary sends Miss Berry $150 as a contribution towards the Berry Schools. 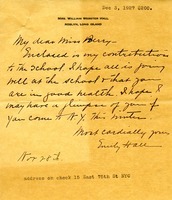 Letter enclosed a $200 contribution, and inquires about Miss Berry's health, and how the schools are doing. 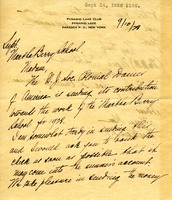 Letter thanking Martha Berry for the Christmas cotton as well as informing of a check enclosure for $100.00.